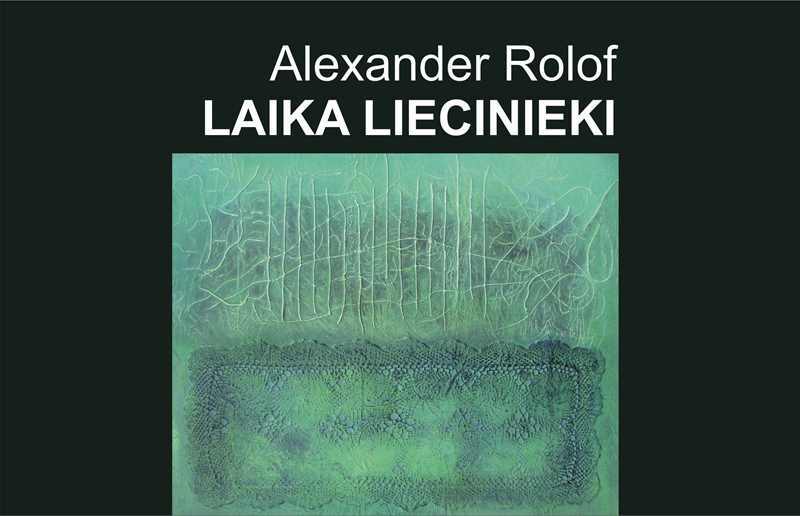 Alexander Rolof was born in Liepāja in 1969. Already in his childhood he had shown a great interest about painting. From 1985 till 1989 he studied at Liepāja Polytechnic School. In 1992 he moves to Germany. The artist characterizes the further years of his life as “a time period of an intensive self-exploration in the field of fine arts”. From 2008 till 2012 he studied at the Graphic Art and Painting division of the Bochum University of Applied Sciences (Germany). In 2012 – 2013 he attended prof. P. Sonnenwend’s master class. A. Rolof constantly participates in exhibitions and has also organized several solo exhibitions. In the exhibition “Time Witnesses” three topically conjunctive series of works are made with different techniques – constructive painting, abstract painting and collage. Constructive painting works are united in a series with the title “Millet” (Prosa). In these works the artist shares his thoughts about the tradition of millet cultivation, whose historical origin can be found in Mongolia and China already 5000 years before. Over the centuries, millet was the basic people’s daily nutritional in Asia, North Africa and Southern Europe. Work series “Flea Market” (Krāmu tirgus) made with the collage technique, is A. Rolof’s reflections about the world that surrounds people. Generations die out and everything they have been saving and cherishing gets to a dump or, at the best case, to a flea market. These works of the artist is a kind of his attempt to save these things, prolong their life or even give them a new life. All the materials used in these works were purchased in different European flea markets by the artist. The series of abstract painting “Macrocosm” is devoted to the testimony of time that the artist had observed when he visited the German city Gorlitz and studied there the facades of old, unrestored buildings. Gorlitz is a very old city with a unique architecture and history. Beautiful facades of the city buildings had experienced both joys and sorrows, and each historical event left its mark on these buildings. Here the artist shows a wonderful man-made surface of the macrocosm world though these surfaces are destroyed by time. This is the “macrocosm” which people pay attention to when speaking about the end of something and the beginning of something new.